With its expansion to a second location at the Shadwell Great House, Ital Creations is continuing to encourage healthy eating with the hosting of a series of workshops to educate the public on making their own food from natural ingredients. 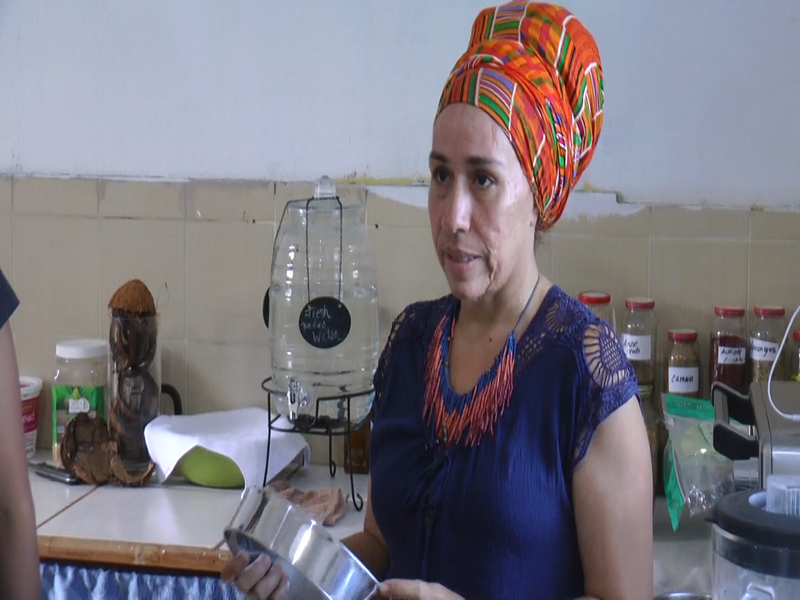 Dubbed Ital Is Vital 101: vegan healthy Cooking Workshops with Caribbean Style, the first few workshops in the series are focusing on making milk from seeds and nuts. The weekly workshop caters to approximately 10 persons and offers a hands on approach to making non dairy milk. Owner of Ital Creations Yayah Fari spoke with us about why Ital Creations decided to begin the initiative. The featured nuts are almond, sesame and coconut which were used to extract milk. She gave a few reasons why she believes it is better to make your own milk that using the store bought items. Yayah said the workshop will be held in stages and will take place every week at the Shadwell Great House. Speaking after the first workshop on March 23rd, Yayah said it was a great experience. The Ital is Vital 101 Vegan Healthy Cooking Workshops with Caribbean Style offers participants the opportunity to learn how to make plant based milk from scratch, its nutritional values and properties, and upon completion, each person makes their won, gluten free, dairy free and vegan, superfood green smoothie.